Looking for A New Inflatable Train Tunnel? Listed are the most popular inflatable tunnel mazes. Funny, exciting, and adventure. These Inflatable Tunnel Maze are pefect for your next rental or event! Kids LOVE how exciting these Tunnel Type Inflatable Maze is!!! Looking for Caterpillar Tunnel,Caterpillar Maze,Large Caterpillar Tunnel Maze? Listed are the most popular inflatable tunnel mazes. Funny, exciting, and adventure. These Inflatable Tunnel Maze are pefect for your next rental or event! Come and buy. Looking for Caterpillar Tunnel,Caterpillar Maze,Caterpillar Tunnel Maze? Listed are the most popular inflatable tunnel mazes. Funny, exciting, and adventure. These Inflatable Tunnel Maze are pefect for your next rental or event! Looking for A Backyard Inflatable Tunnel Maze? Listed are the most popular inflatable tunnel mazes. Funny, exciting, and adventure. These Inflatable Tunnel Maze are pefect for your next rental or event! Come and buy. Looking for A Backyard Inflatable Tunnel Maze? Listed are the most popular inflatable tunnel mazes. Funny, exciting, and adventure. These Inflatable Tunnel Maze are pefect for your next rental or event! Great for childrens of all ages! Looking for Backyard Inflatable Tunnel Maze? Listed are the most popular inflatable tunnel mazes. Funny, exciting, and adventure. These Inflatable Tunnel Maze are pefect for your next rental or event! Come and buy. 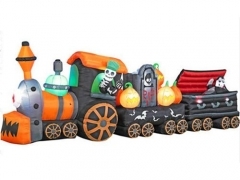 Jungle Adventure Maze,Chuggy Choo-Choo Train Tunnel,Rentals Inflatables. These Inflatable Tunnel Maze are pefect for your next rental or event! Kids LOVE how exciting these Tunnel Type Inflatable Maze is!!! Come and buy! Looking for A New Inflatable Tunnel Maze? Listed are the most popular inflatable tunnel mazes. Funny, exciting, and adventure. These Inflatable Tunnel Maze are pefect for your next rental or event! Looking for A New Inflatable Tunnel Maze? 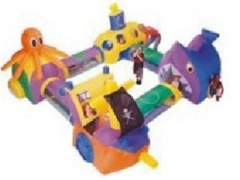 Finding Nemo Tunnel Maze is the most popular inflatable tunnel maze. Funny, exciting, and adventure. The Inflatable Tunnel Maze are pefect for your next rental or event! Kids LOVE how exciting these Tunnel Type Inflatable Maze is!!! Looking for A New Inflatable Tunnel Maze? Listed are the most popular inflatable tunnel mazes. Funny, exciting, and adventure. These Inflatable Tunnel Maze are pefect for your next rental or event! Kids LOVE how exciting these Tunnel Type Inflatable Maze is!!! Looking for A New Inflatable Tunnel Maze? Listed are the most popular inflatable tunnel mazes. Funny, exciting, and adventure. These Inflatable Tunnel Maze are pefect for your next rental or event! Kids LOVE how exciting these Tunnel Type Inflatable Maze is!!! Come and buy! 4 In 1 Bounce House Slide Combo, 4 In 1 Castle Combo, 4 In 1 Module Jumping Caslte. OEM/ODM is welcome. Looking for A New Module Jumper? Listed are the most popular module inflatable bounce house, jumping castle, moonwalk and party jumpers, etc. Funny, exciting, and adventure. These Inflatable Module Jumpers are pefect for your next rental or event! Looking for A New Module Jumper? 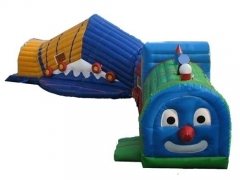 Listed are the most popular module inflatable bounce house, jumping castle, moonwalk and party jumpers, etc. Funny, exciting, and adventure. 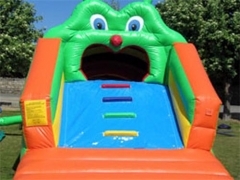 These Inflatable Module Jumpers are pefect for your next rental or event.! 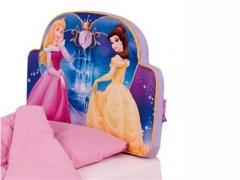 Princess Module Castle Combo, Princess Module Bounce House Slide Combo. This Mini Module Castle is pefect for your next rental or event.! Find the complete details about Mini Module Castle , please giive us a call or contact us by email. Princess Bouncy Castle, Princess Module Jumping Castle. This Mini Module Castle is pefect for your next rental or event.! Find the complete details about Mini Module Castle , please giive us a call or contact us by email. Dora Bouncy Castle, Module Jumping Castle. This Mini Module Castle is pefect for your next rental or event.! Find the complete details about Mini Module Castle , please giive us a call or contact us by email. Dora Jumping Castle, Module Jumping Castle. This Mini Module Castle is pefect for your next rental or event.! Find the complete details about Mini Module Castle , please giive us a call or contact us by email. Barney Module Bouncer, Module Bounce House. This Mini Module Jumper is pefect for your next rental or event.! Find the complete details about Mini Module Bouncy Castle Combo, please giive us a call or contact us by email. Spongebob Squarepants, Module Bouncer, Module Bounce House. This Mini Module Jumper is pefect for your next rental or event.! Find the complete details about Mini Module Bouncy Castle Combo, please giive us a call or contact us by email. Winnie the Pooh, Tiger and Pooh, Module Bouncy Castle. This Mini Module Jumping Castle Comb is pefect for your next rental or event.! Find the complete details about Mini Module Bouncy Castle Combo, please giive us a call or contact us by email.